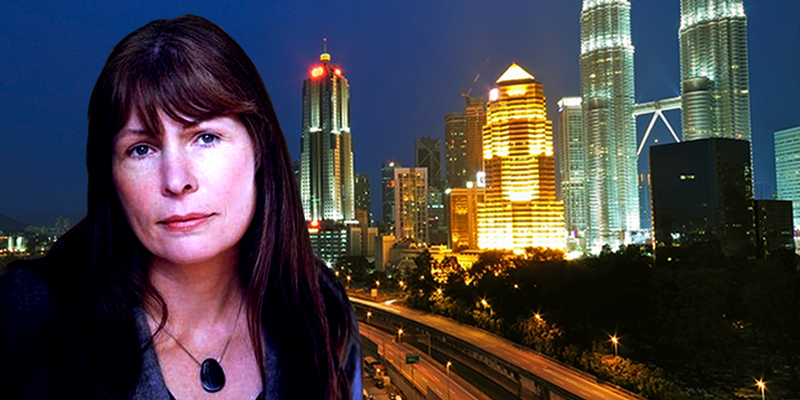 Sarawak Report editor Clare Rewcastle-Brown allegedly has close ties with former Opposition leader Datuk Seri Anwar Ibrahim and former Prime Minister Tun Dr Mahathir Mohamad, based on WhatsApp conversations, sources revealed. In an exclusive by the New Straits Times, Rewcastle-Brown had also allegedly told former PetroSaudi employee Xavier Andre Justo she was changing the “destiny of one country” and that she would celebrate with a “glass of champagne” once Prime Minister Datuk Seri Najib Razak was done. Justo, a Swiss national, is currently serving a three year jail sentence in Thailand for blackmailing and extorting his former employer. According to the English daily, the England-based Rewcastle-Brown had a few WhatsApp exchanges with The Edge Media Group’s Ho Kay Tat, where the latter allegedly said the former’s article was written in a way that shows she was out to oust the Prime Minister and that the media group has been accused of working with her for the same reason. Rewcastle-Brown was allegedly alluding to the Sarawak state election. The NST also reported that based on sources close to Thai authorities, WhatsApp conversations show Rewcastle-Brown explaining how she would help Justo raise and then launder US$2 million. Her first attempt was allegedly via SJS Limited in Singapore to channel the funds with the help of her brother, identified by the daily as Patrick Rewcastle. On March 19, she, the NST reported, had “confirmed the commission for the illegal transfer”. According to the NST, it had repeatedly tried to get in touch with Rewcastle-Brown, Ho and the Edge Media Group’s Datuk Tong Kooi Ong for a response but none did so at press time.